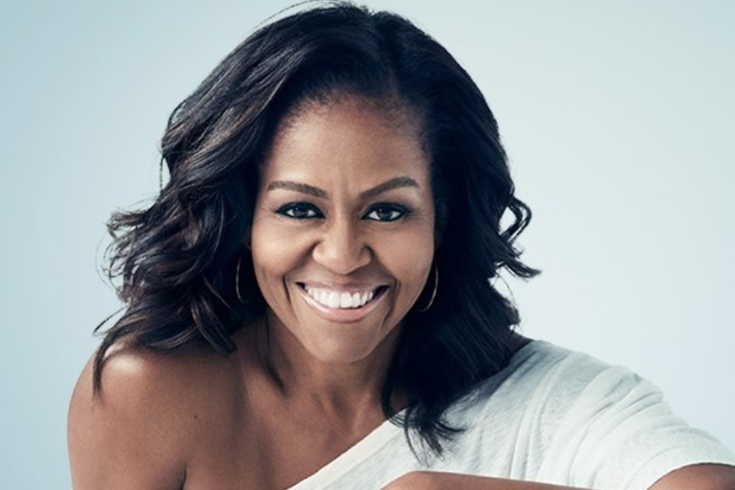 Michelle Obama will be traveling across the country this fall for a limited series of live events in support of her highly anticipated memoir, BECOMING. The 10-city book tour includes a stop in Philadelphia on Thursday, November 29 at the Wells Fargo Center. Tickets are on sale now. The live event will feature an intimate conversation between the former First Lady and a to-be-announced moderator that reflects upon the many stories shared in her deeply personal book. From her early childhood living in the South Side of Chicago to her years spent in the White House, attendees will hear first-hand about the many experiences that helped shape Michelle Obama’s extraordinary journey. “I hope that this tour will inspire others to reflect upon and share their own stories—all the joys and sorrows, all the scars and renewals—so that together, we can better recognize that each of us, in our own way, is in a constant process of becoming,” said Michelle Obama of her upcoming tour. Don’t miss out on this unique opportunity to hear from one of the most iconic and compelling women of our era. Get your tickets here.